A new year means a new opportunity to leverage annual credit card benefits, and the Citi Prestige card has some especially good perks — many of which just reset on January 1, 2016. Below, TPG Points & Miles Editor Sarah Silbert takes a look at the card’s top benefits and provides tips for getting the most out of each of them this year. With 2016 officially here, many points and miles enthusiasts are already working on their strategy for earning credit card benefits and requalifying for elite status with airlines and hotels. And while the new year means there’s plenty of work ahead for getting many of the travel perks you love, thankfully there are some benefits that require nothing more than holding a specific card. One prime example is Citi Prestige, a premium travel rewards card that offers a ton of goodies, from a $250 annual airline credit to complimentary access to Admirals Club and Priority Pass Select lounges. In this post, I’ll highlight the benefits from this card that you can use once again now that it’s a new year. If you don’t already hold the Citi Prestige card, you can apply now and earn 50,000 ThankYou points after spending $3,000 in the first three months if accepted. Based on TPG’s latest valuations, that sign-up bonus is worth about $800. And while the card does come with a steep $450 annual fee, its one of several premium travel cards that justifies this charge with plenty of benefits and credits. You can use the $250 airline credit toward airfare on American, among many other things. This perk equates to more than half of the annual fee for the card, and the $250 fee credit can be used to cover almost any airline purchase. Unlike with other premium cards that offer similar airline credits, the terms for the Citi Prestige’s are pretty generous. For one thing, you can use the credit to cover airfare, not just associated airline expenses like checked bags and in-flight purchases. Plus, you can use the $250 credit on any airline; you don’t have to select one ahead of time as you do with the Platinum Card from American Express. Tips for maximizing: In addition to using this credit for airfare, you can pair it with special carrier offerings like a companion fare ticket available through the Alaska Airlines Visa Signature credit card (as TPG Senior Points & Miles Contributor Nick Ewen recently did). Also, note that this $250 fee credit isn’t technically a calendar-year benefit; it resets each December. Finally, the terms and conditions for the Citi Prestige state that it could take up to two billing cycles for this credit to appear in your account, but in the experience of TPG staff and many readers, it usually posts within the same statement period in which you make a qualifying purchase. 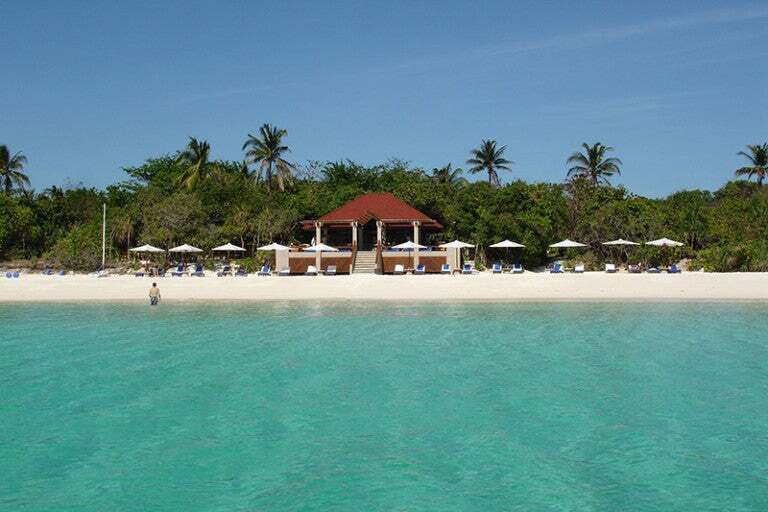 Enjoy the fourth night free at properties like the Amanpulo in the Philippines. Image courtesy of soulrider67 (Flickr). Another incredibly valuable perk for Citi Prestige cardholders is the 4th Night Free benefit, which (as the name suggests) gets you a complimentary fourth night at a hotel when you book a paid stay of four nights or more. When you use this benefit, the cost for the fourth night of your stay (including taxes) will show up as a statement credit in your account. There’s no limit to how many times you can use this benefit in a given year, so if you’re still making travel plans through the end of 2016, keep this in mind for paid hotel bookings. Additionally, there seems to be no limit to how much this credit can cover; by September 2015, TPG Editor-in-Chief Zach Honig had gotten $1,150 in value thanks to using the 4th Night Free benefit for three separate hotel bookings, and on an upcoming stay he’ll get a credit of $1,490 to cover the fourth night (more on that later). That’s a pretty great return for just one hotel booking! Tips for maximizing: Note that you need to book your paid hotel stay through Citi’s Travel Concierge service in order to receive this benefit. You’ll need to provide your travel dates, destination, price range and preferences, and a travel agent will get back to you with options that fit your needs. It’s not the most streamlined, efficient process — though Citi has recently improved response time to less than 24 hours — so do your best to reserve your stay at least a few days before check-in. Also, make sure you pay close attention to the room rates for each night of your stay, as Citi will refund you only for the fourth night, even if that ends up being cheaper than the other nights. In destinations like Las Vegas, for example, where weekend rates are considerably higher than weekday prices, this is especially important to consider. For more information on maximizing the 4th Night Free, see Jason Steele’s post, How to Save 25% on Hotels with the Citi Prestige Card. Earn 3 points per dollar on hotel bookings and airfare with the Citi Prestige. Image courtesy of the Conrad Tokyo. The Citi Prestige is one of a handful of premium travel cards that offers generous category bonuses. In addition to 2 points per dollar spent on dining out and entertainment and 1 point per dollar on all non-category-bonus purchases, you’ll earn 3x points for airfare and hotels. Tips for maximizing: The card earns Citi ThankYou points, a transferrable currency that can be used to redeem awards with Citi’s partners. Currently, there are 13 transfer partners, including Cathay Pacific, Etihad, Hilton HHonors and Qantas. So the bonus points you earn for airfare, hotels and other purchases can be used toward award tickets, Hilton stays and more. Enjoy free rounds of golf at select courses, some of which have tee times that cost over $300. While this perk may not be as valuable as the fee credit and 4th Night Free benefit, it’s a nice extra for cardholders who like to hit the green. Cardholders are entitled to three free rounds at select golf courses around the world, and they can book reservations online after creating an account with GolfSwitch. This benefit likely won’t be the decisive factor that leads you to sign up for the card, but it’s a nice-to-have perk that could come in handy when your travels take you to locations with participating courses, such as Las Vegas, Hawaii and Tampa Bay. Tips for maximizing: Note that you can only reserve one round of golf at a time — and the reservation must be made three days in advance — so try to use at least one or two rounds before the end of the year nears in case certain courses don’t have availability for your desired dates. Also note that you need to cancel according to each golf course’s policy to avoid being charged for the entire amount; in other words, definitely read that fine print. Unfortunately, this benefit applies to the cardholder only, so you can’t book tee times for a friend. Still, this perk complements several other more valuable benefits, so it’s definitely something for Citi Prestige cardholders to consider. For more information, see Jason Steele’s post, Enjoy 3 Free Rounds of Golf with Citi Prestige. Enjoy complimentary access to Admirals Club lounges when you’re traveling on American. Finally, the Citi Prestige card offers Admirals Club lounge access to cardholders who are traveling on American Airlines. Note that this card only gets you in when you’re traveling on AA, while the Citi / AAdvantage Executive World Elite Mastercard includes full Admirals Club membership for both the cardholder and up to 10 authorized users — and you don’t need to be flying American to enjoy lounge access. Still, unless you fly AA very frequently and value unrestricted access to Admirals Clubs for you and your authorized users above benefits like 4th Night Free, this likely isn’t a reason to choose the Citi AAdvantage Executive card over Citi Prestige. Tips for maximizing: Citi Prestige cardholders can enjoy Admirals Club lounge access along with their immediate family members or up to two traveling companions. Plus, the card also offers complimentary Priority Pass lounge access for the cardholder and immediate family or up to two guests. Despite the high annual fee, the Citi Prestige offers a host of benefits that make it one of the top premium travel-rewards cards available. From the $250 annual airline credit to the ability to get 25% off paid hotel stays unlimited times with the 4th Night Free benefit and more, there are plenty of ways to maximize this card in 2016. What’s your favorite Citi Prestige benefit, and how are you planning to maximize it in 2016?